Heart disease is the number one killer of women in the United States — killing one woman every 76 seconds — yet only one out of five American women actually believe it’s a threat. Heart disease is a catch-all term that includes a variety of conditions and events such as heart attacks, strokes and heart failure. Warning signs of heart disease are not always the same for women and men, so understanding the symptoms and risk factors is important. Women can actually respond to heart events differently than men. “Men are more likely to survive a heart attack than women,” says cardiologist Ramavathi Nandyala, MD of Methodist Hospital in San Antonio, Texas. And while both men and women usually experience chest pain and pressure during a heart attack, women can have a heart attack even without that common symptom. Women are in fact more likely than men to have nausea, vomiting and shortness of breath during a heart attack. Smoking and a strong family history put you at risk for heart disease, but what about your eating habits and stress levels? Here are seven things that can increase your heart disease risk — and easy ways to keep your ticker strong. Stress — whether it be related to work, relationships or parenting — is the number one risk factor Dr. Nandyala sees in her female patients. “We keep adding more and more responsibility and stress on women,” she says. And traumatic events can also contribute to heart problems. Stress causes the body to release adrenaline, which can cause arteries to go into spasms and your blood pressure to increase, Nandyala notes. Broken heart syndrome from an event like a death in the family can also cause the heart to “go into shock,” leading to a temporary type of heart failure. 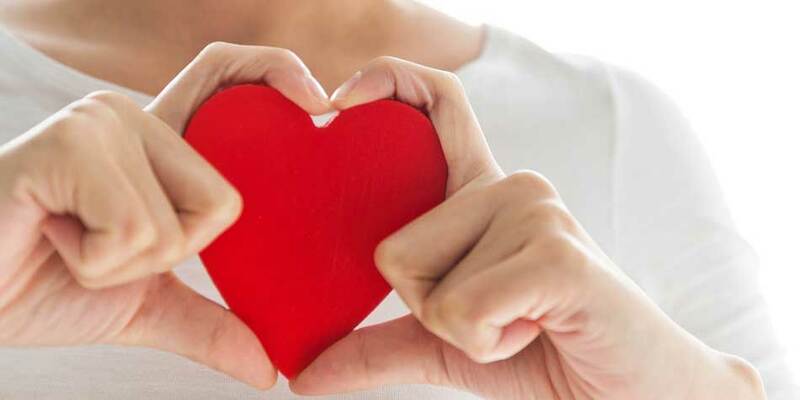 In fact, researchers from the University of Pittsburgh School of Medicine collected data from 272 postmenopausal and perimenopausal women to learn more about how traumatic events can impact heart health. The study findings, presented at the North American Menopause Society’s annual conference in 2017, showed that women who were involved in at least three traumatic events during their lifetime — such as sexual harassment, a car accident or the death of a child — had poorer endothelial function than those women who had not experienced trauma. The endothelium is the inner lining of the heart and blood vessels, and poor functioning may increase the risk of heart disease. Nandyala says that some stress in our lives is inevitable, but it’s important to learn to cope with it. She recommends relaxing for a few minutes each day with reading, music, yoga, prayer or any other activity that relaxes your mind. Exercise can also help you manage stress — a quick walk outside is a better move than stress eating, for example — and can even put you in a good mood. If it’s trauma you’re working through, see your healthcare provider to learn about available resources and treatment options. According to the Centers for Disease Control and Prevention (CDC), common responses to trauma include fear, grief and depression. If symptoms worsen or last more than a month, you may have post-traumatic stress disorder. A diet rich in saturated fat and sodium increases anyone’s risk of heart disease, but one study found that a high-protein diet — especially if the protein came from meat — is associated with a higher risk of heart failure among older women. When it comes to eating habits, Nandyala says a balanced diet is best. “Strictly avoiding carbs or fats isn’t always the best option because our bodies are made of protein, carbohydrates and fat,” she explains. If you do eat meat, reach for lean meats like turkey and chicken rather than overly fatty, processed meats like sausage and bacon. Plant-based proteins like tofu, beans and nuts are good options, too. Repeatedly losing and gaining weight, known as yo-yo dieting or weight cycling, can hurt your heart down the road. One observational study presented at the American Heart Association's Scientific Sessions in 2016 looked at self-reported weight history for 158,063 post-menopausal women and grouped them into several categories: stable weight, steady gain, maintained weight loss or weight cycling. The findings were eye opening. Those of normal weight who lost and regained weight during the study period had a 3.5 times higher risk of cardiac death than women whose weight remained the same. The study also found that those women considered overweight or obese who reported weight cycling had no increase in cardiac death. For women who reported gaining weight but not losing it, or losing weight without gaining it back, there was also no increase in death risk. Nandyala wants women to know that it’s more important to adopt and maintain a healthy lifestyle overall than to drop weight quickly by employing drastic dieting tactics. Research shows that there may be a link between birth control pills and high blood pressure in some women. And the link may be stronger for women who are overweight, have kidney disease, have a family history of high blood pressure or high blood pressure during a pregnancy. Birth control pills are typically made up of estrogen and progesterone, and estrogen is thought to encourage blood clot formation in some women over the age of 35, says Nandyala. Blood clots can lead to heart attack and stroke, and women who smoke and take oral contraception are especially at risk. The good news is that many of the newer birth control options pose less risk. Speak with your gynecologist and/or cardiologist about the best birth control for you, particularly if you have congenital heart disease. Nandyala says obesity is another huge risk factor for heart disease. In fact, two out of every three women in the United States are overweight or obese. If you’re carrying around extra fat — a body mass index (BMI) over 30 is considered obese — you may be increasing your risk of high cholesterol, high blood pressure, diabetes and even osteoarthritis and breathing problems. Maintaining a healthy weight allows blood to circulate through the body more efficiently and lowers your risk of the health conditions above. Make sure you measure your BMI at least once a year, and if you are obese, talk to your healthcare provider about weight loss programs that can help you focus on taking in fewer calories and developing exercise habits. Talk to your doctor before you begin a new exercise routine. Once you get the green light, try a combination of both aerobic and resistance training. You can work in other heart-healthy moves like dancing, water aerobics, rowing, stair-climbing and even housework. Many female patients come in and say, “I’m totally fit, so I definitely don’t have heart disease,” says Nandyala. Unfortunately, that’s not always the case. People who have a family history of heart disease should be especially cautious. If you do have a heart condition like high blood pressure or high cholesterol, the earlier you can get it under control, the less likely you are to have a serious heart event. The American Heart Association recommends getting blood pressure screenings at least every two years if your levels are below 120/80 mm Hg. If your numbers are higher, you may need more frequent screenings. Every four to six years, you should also receive a fasting lipoprotein profile, a measurement of your cholesterol and triglyceride levels. And starting at age 45, be sure to have your blood glucose checked every three years, or more frequently if you’re at elevated risk.